As the original inventor of linear drainage systems, all Stormtech drainage have been created with design flexibility and ease of installation in mind. Stormtech has grown to become one of the most respected suppliers of architectural grates and drainage solutions. 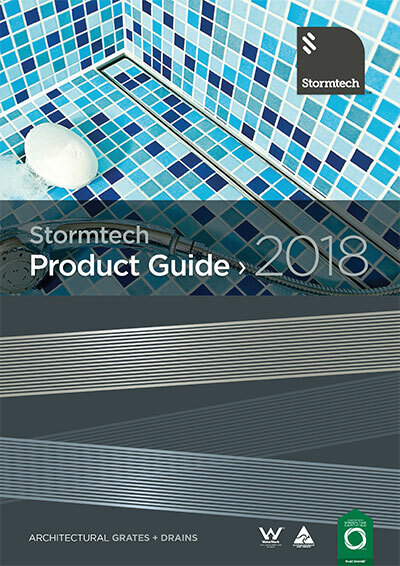 With superb designer finishes and easy integration, Stormtech grates are the preferred choice for creating beautiful, seamlessly drained bathrooms and outdoor areas. Use the options below to access selected resources. Our Product Selection Video gives a brief introduction to specifying Stormtech.